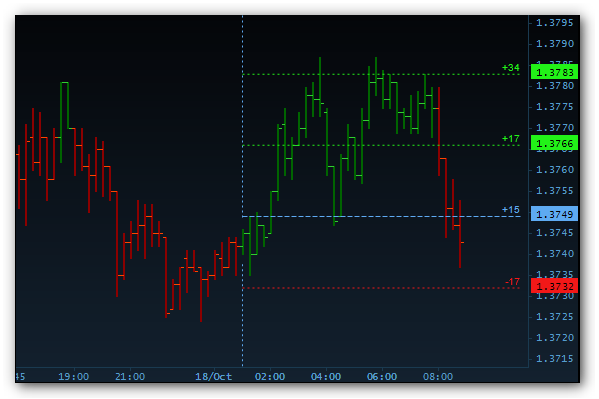 The Adaptive Stop/Target tool helps in guessing the prospective stop and target levels by analyzing the characteristics of the recent chart data. It is an invaluable supplement of any trend continuation trade signals, significantly improves the winner/loss ratio of your trades. 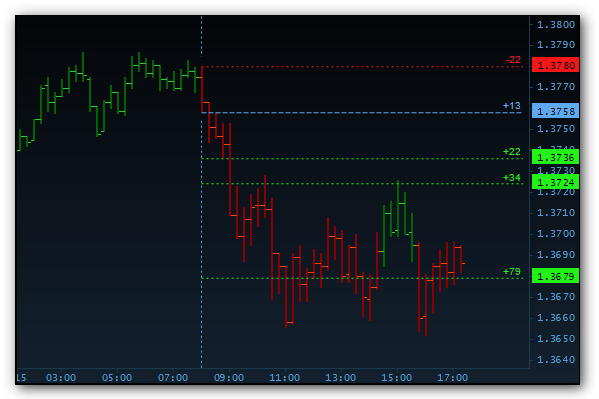 The Adaptive Stop/Target tool does not show when and in which direction you should enter a trade. That should be determined by different means. This tool is a great sidekick of many other entry signals, like Harmonic Trendlines, Trend Direction etc. It is an easy to use exit strategy that can be used in conjunction with other entry signals. 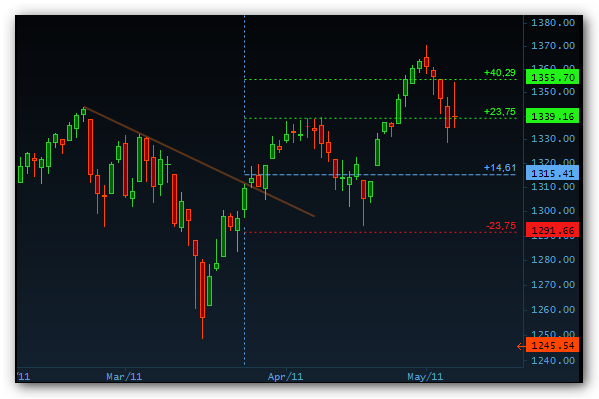 By analyzing the recent chart characteristics, this tool gives high probability target levels. The examples below show the EUR/USD 15min chart at different times. The recommended targets are closer or farther based on recent market volatility.